Floor Sanding in Watford WD – Because You Deserve The Best! Your floor is among the first things every visitor notices. It needs to look its best if you want to make a good impression. Wooden floors remain ever-popular, because of their beauty and easy cleaning. However, even the most durable hardwood floor needs restoration – every once in a while. We have refurbished more than 5000 floors in London. Soft or hardwood floors, we can be of service in the process of their restoration. 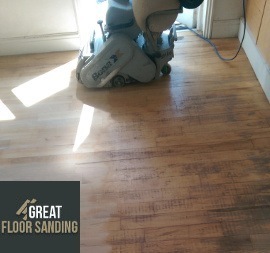 You can trust in our floor sanding in Watford WD to remove every blemish on your floor and seal it for years to come! You hire the most experienced floor sanding technicians in Watford. All the team members have been BONA certified, which promises precision and unrivaled skill. At the same time, your floors are treated with the latest equipment, which not only speeds out the sanding process but also keeps your property clean of any dust as a result from the sanding.